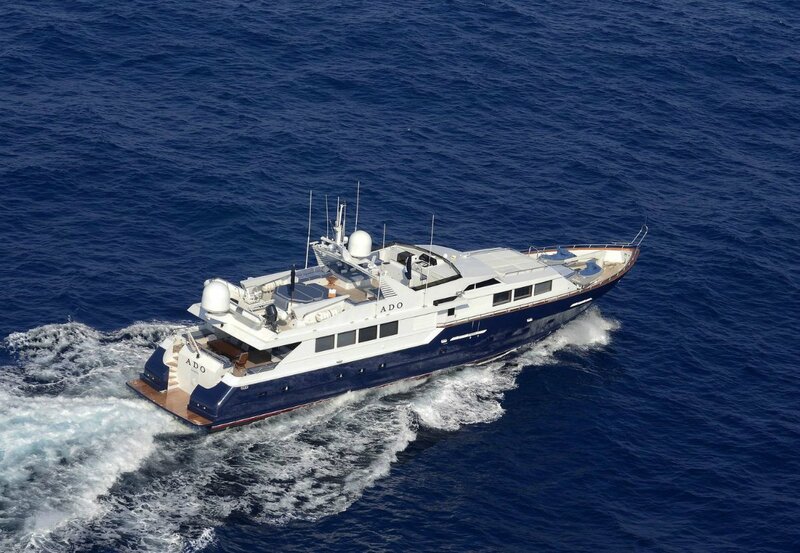 Motor yacht DOA (ex ADO, DOA, Java) is a 36,92m (121ft) motor yacht built by the well respected Broward Marine yard in 1990. 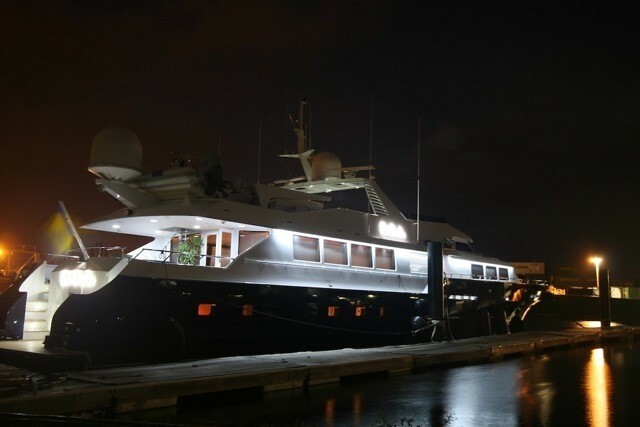 The yacht has undergone many refits and is exceptional value considering she can accommodate up to 10 guests. 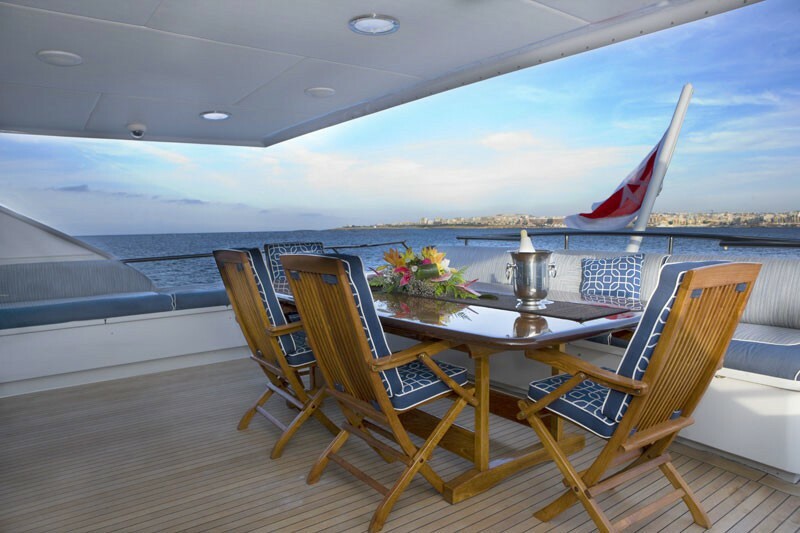 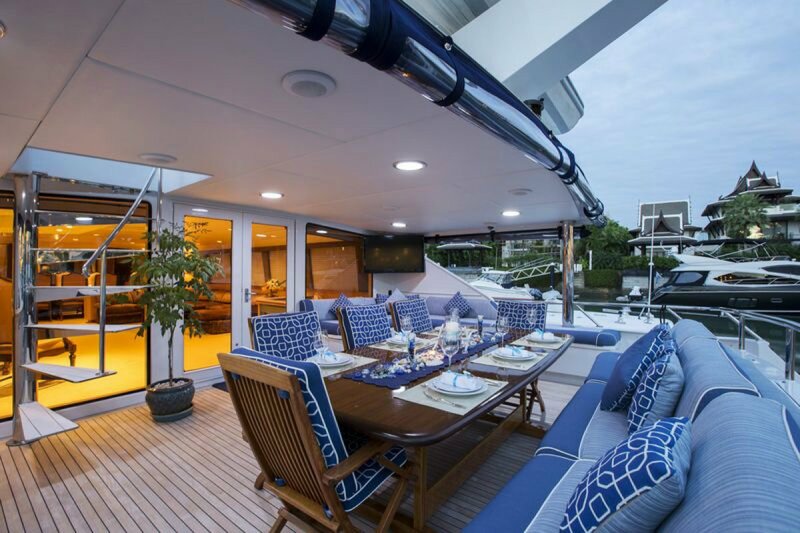 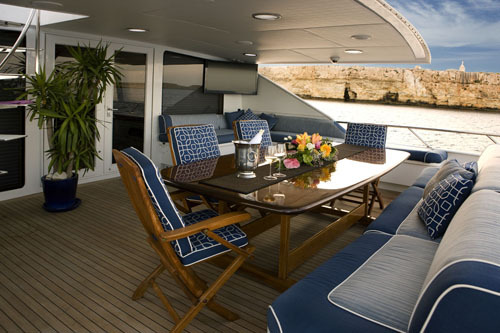 Motor yacht DOA features spacious reception areas and wide open decks which are the perfect setting for entertaining. 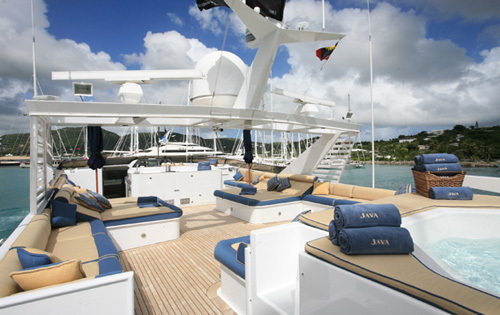 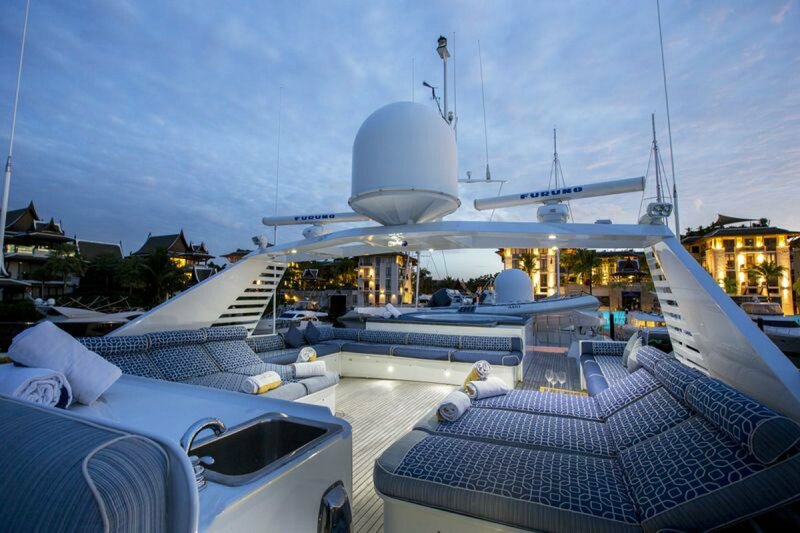 Her top deck is a great feature of the yacht with spacious sun pads and an eight person Spa Pool. 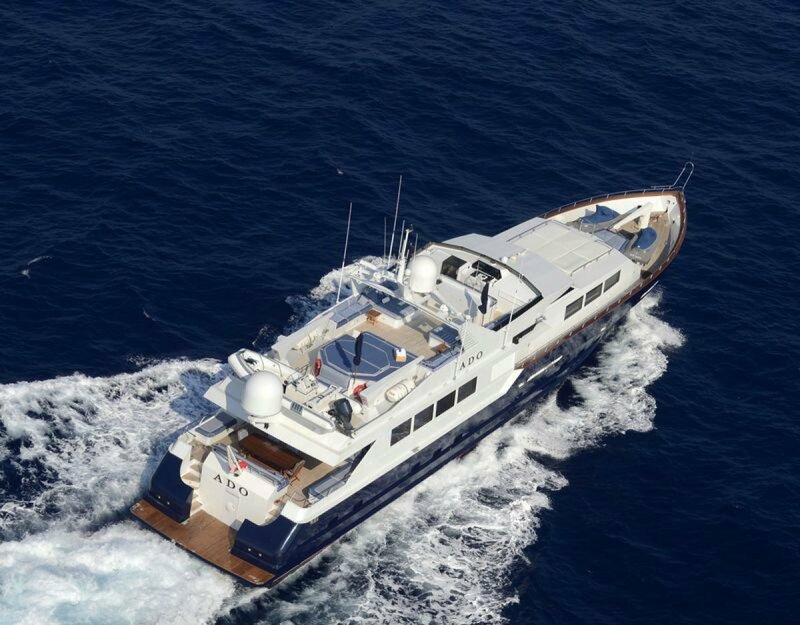 Although motor yacht DOA was built in 1990, she has been beautifully maintained and received several refits including an extensive interior refurbishment, refit with a 3ft teak deck swim platform, and new exterior paint in 2003. 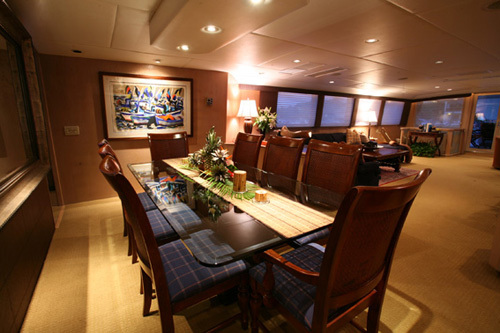 In 2004 the yacht received a new teak aft deck table, new carpeting throughout, her wheelhouse was refurbished in navy blue tones and yachts hull repainted. 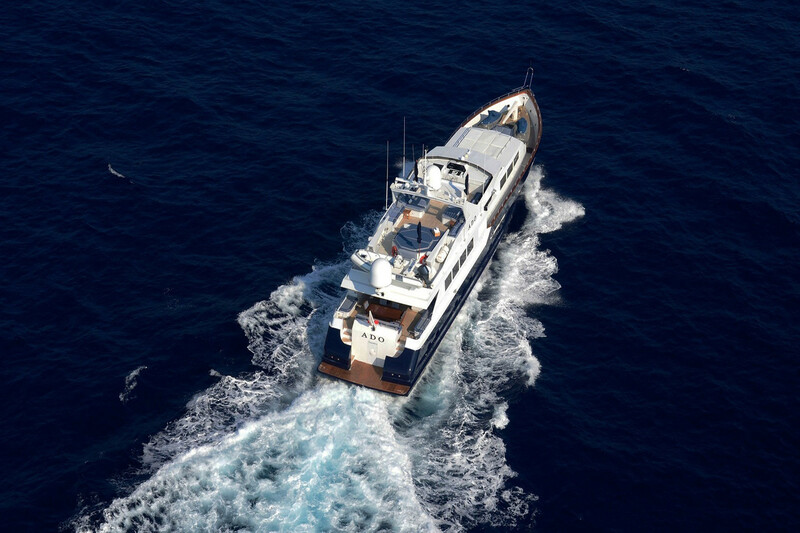 In 2006 the yacht once again received a new paint, new carpeting throughout and two new Seadoos. 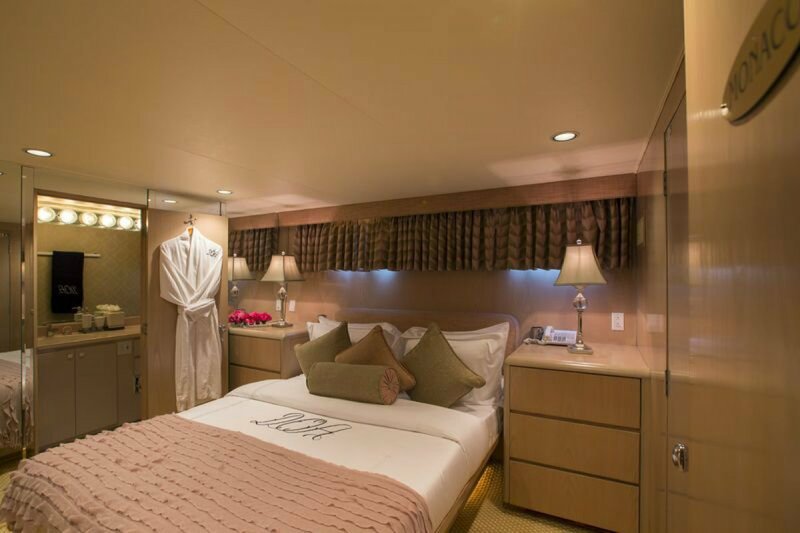 In 2007 the Port main engine was 0 houred, and she received a new 65kw Kilopac generator, all new soft furnishings in the two queen staterooms, new aft deck soft goods and a new sun and boat deck soft goods. 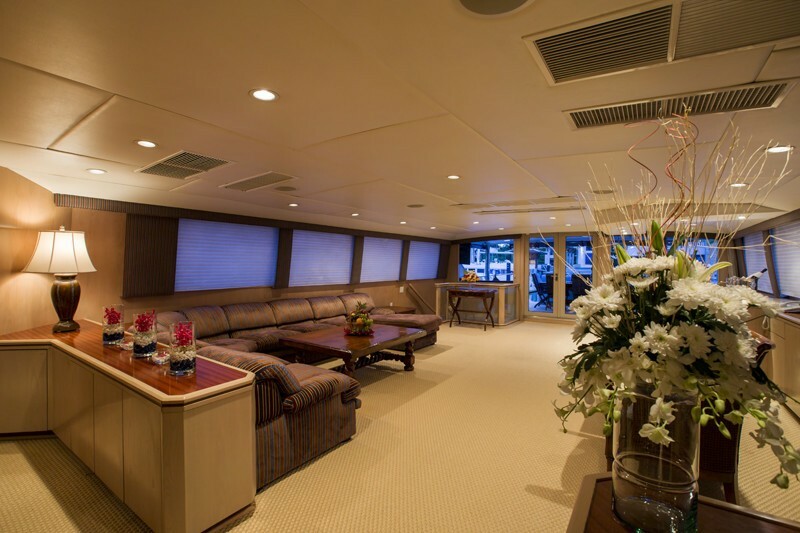 In 2010, motor yacht DOA received all new exterior cushions and covers, All teak decks sanded, New exterior sound system, Exterior painting, New main salon TV, New aft deck table, Hull Painted, New Sisal Carpet, New TV’s throughout, New teak swim platform, New lighting exterior, New furniture. 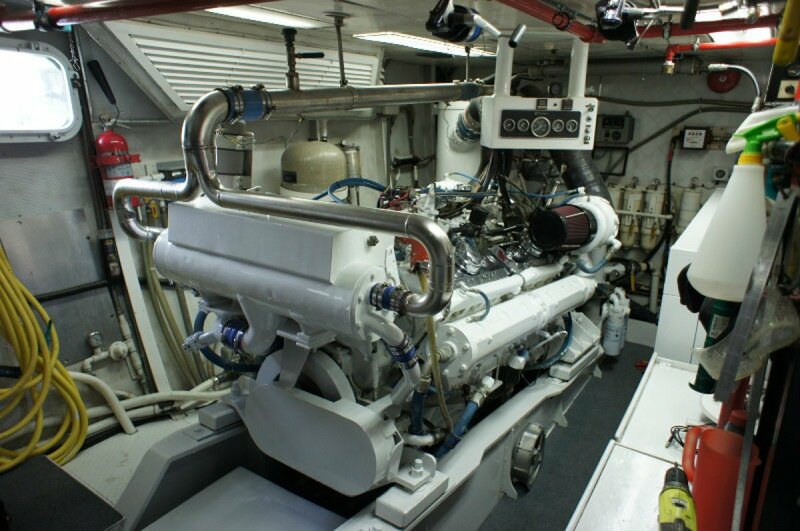 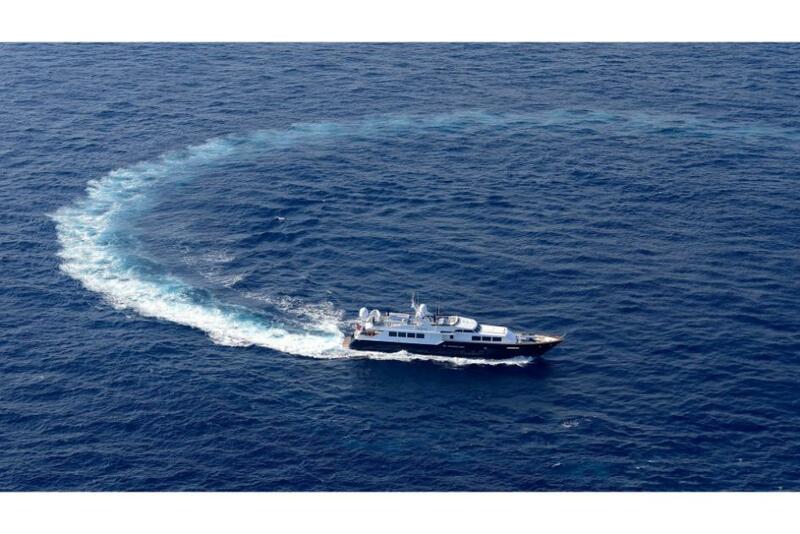 In 2011, she had an overhaul port main engine, overhaul stb generator, Service all running gear, exterior paint. 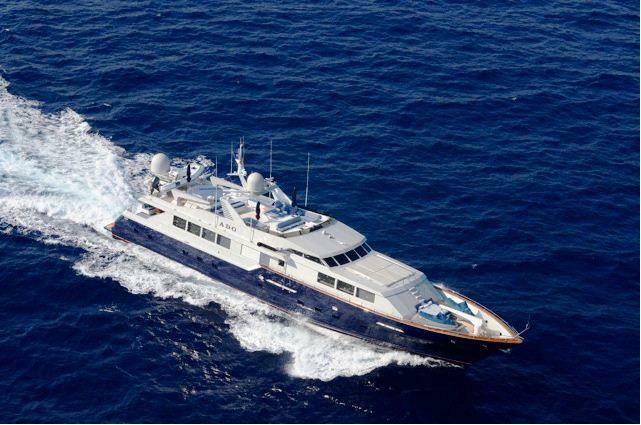 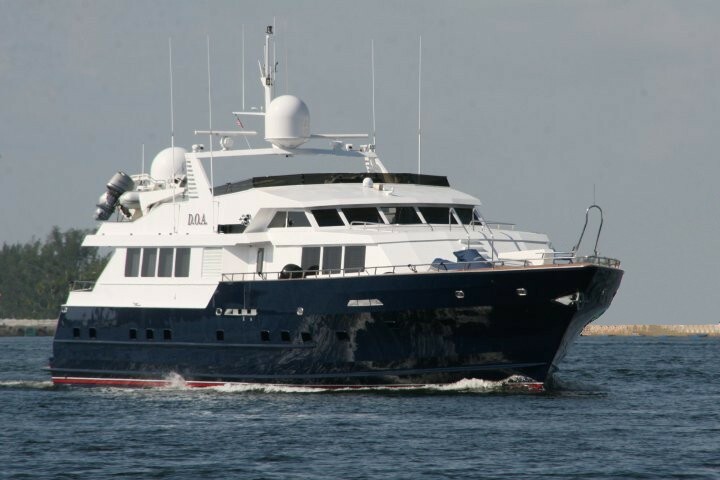 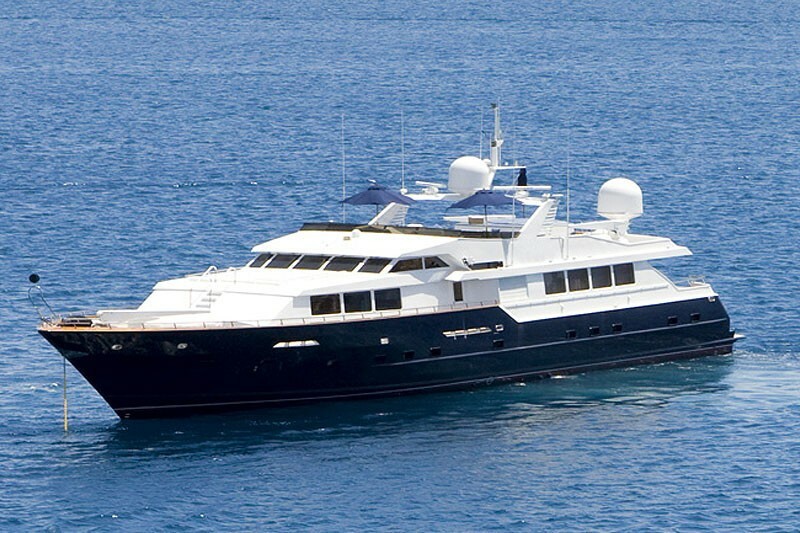 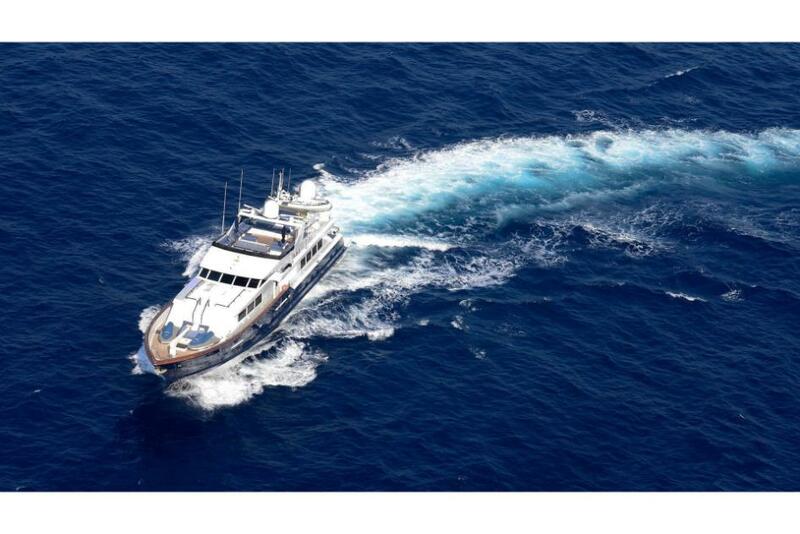 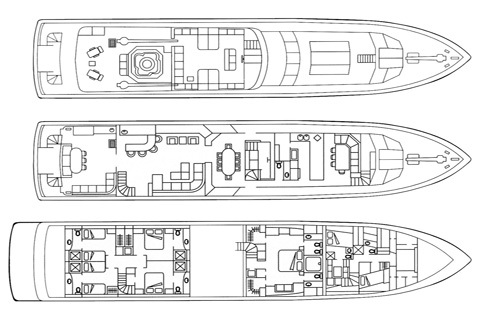 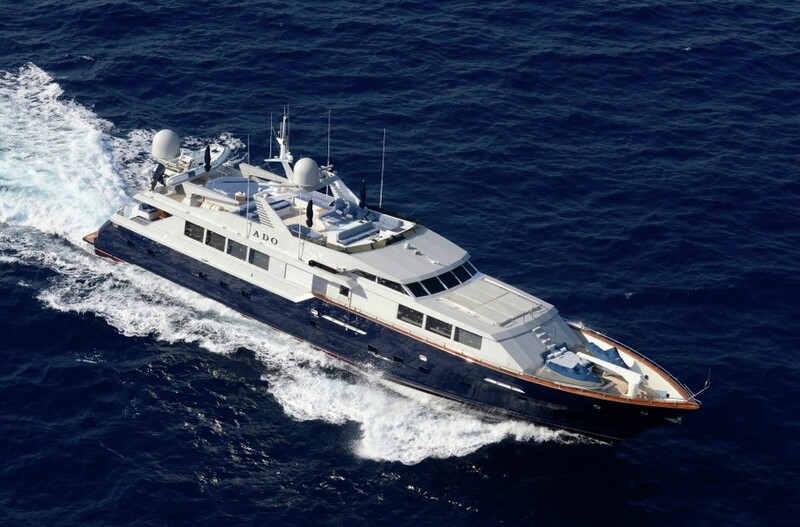 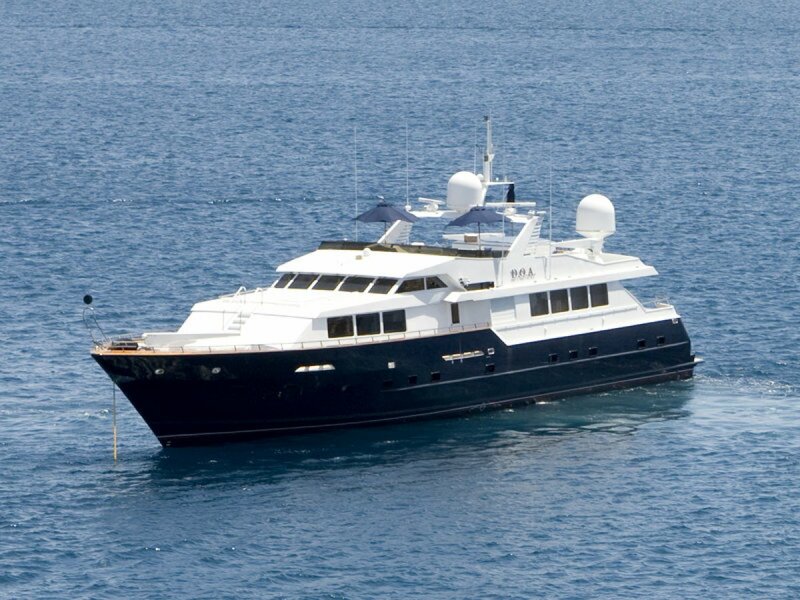 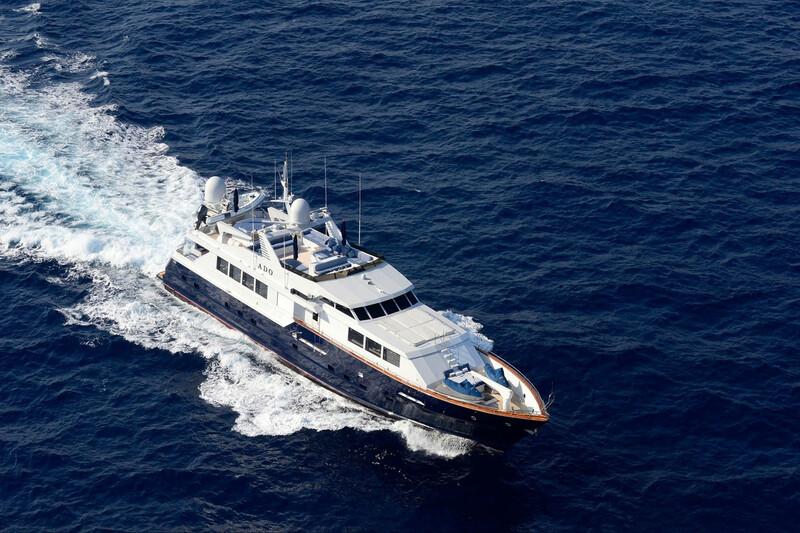 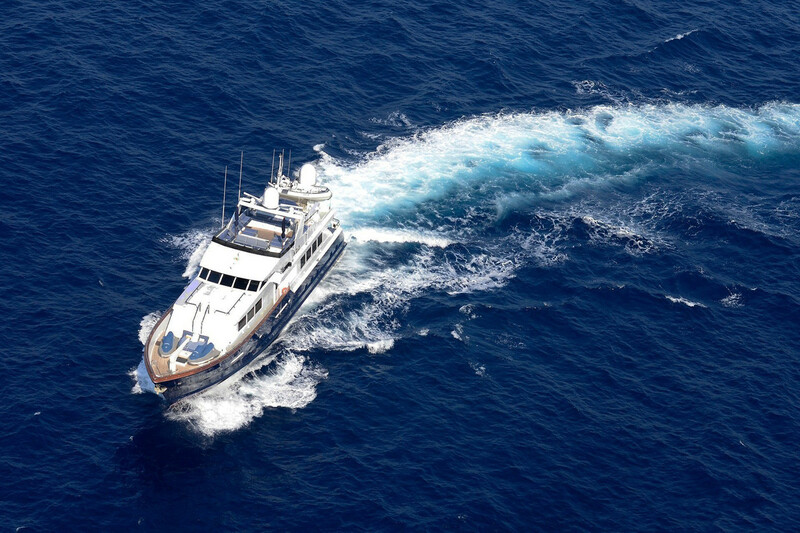 Broward motor yacht DOA can accommodate 10 guests in 5 staterooms. 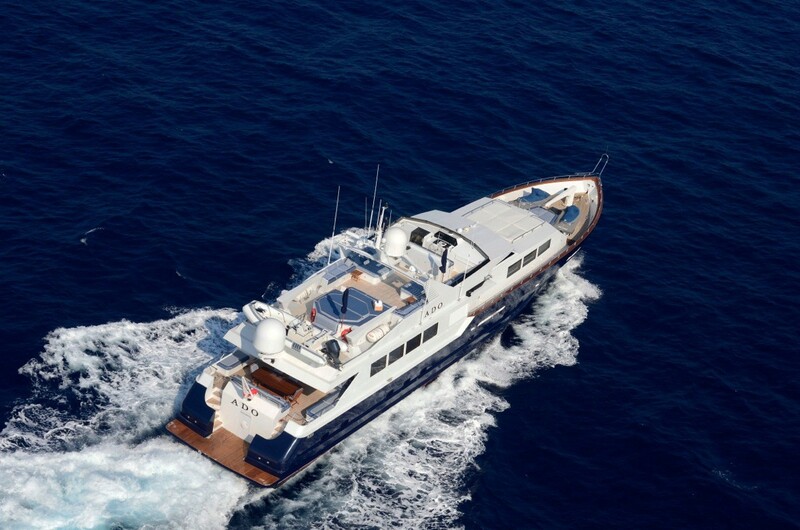 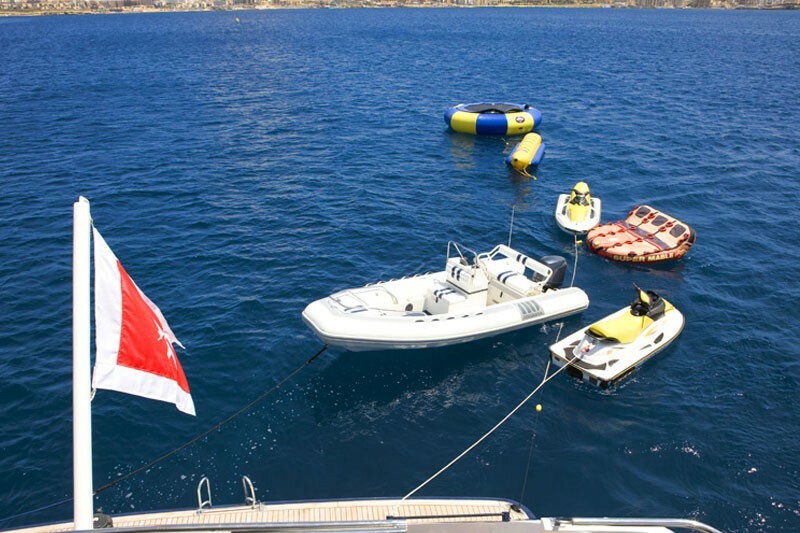 She is a fantastic family yacht with great communal areas. 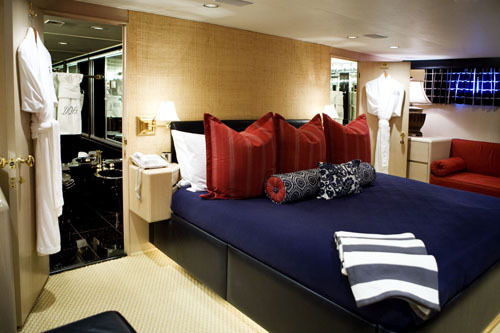 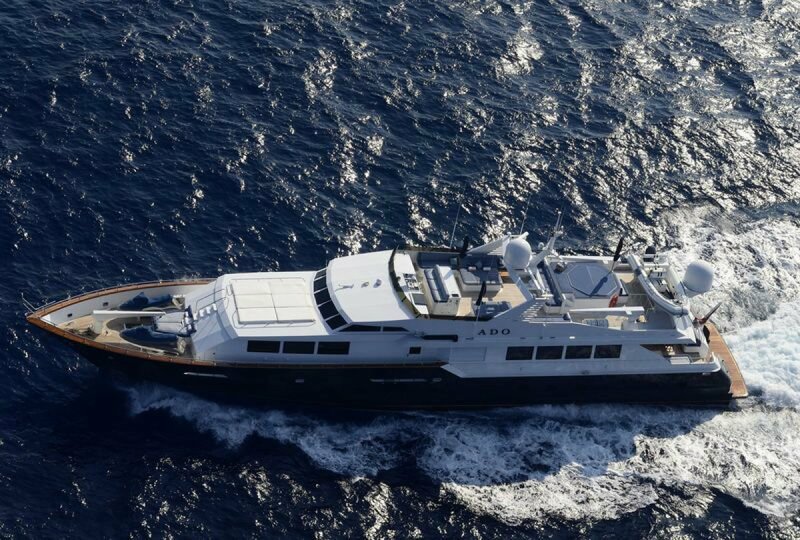 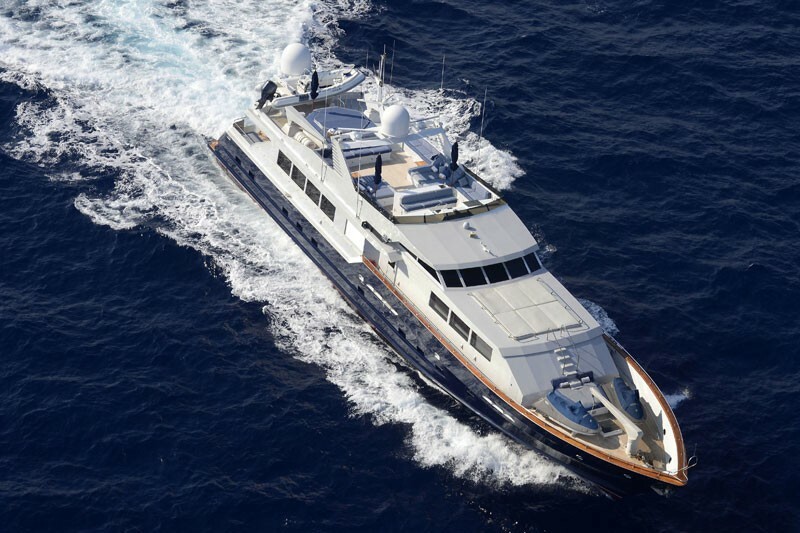 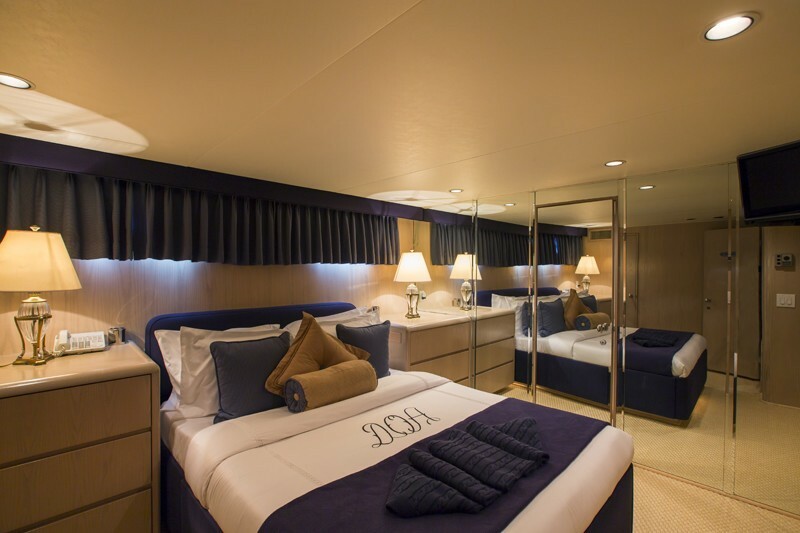 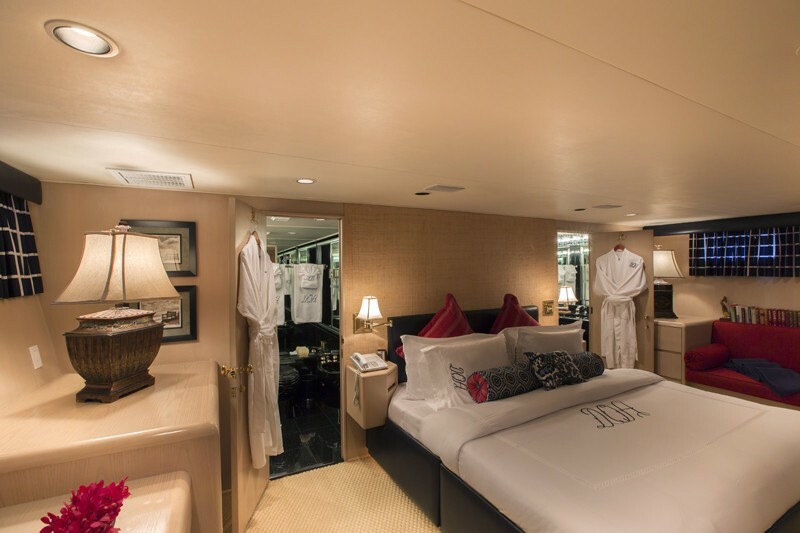 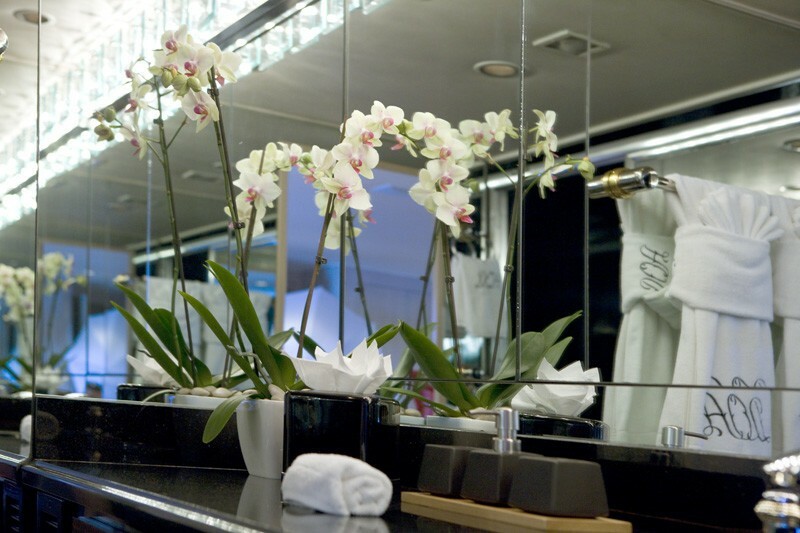 Motor yacht DOA can accommodate up to 10 guests in 5 individual staterooms including a master suite with King Size bed, settee, his and hers walk in closets and his and hers ensuite bathroom separated by a Spa Pool tub. 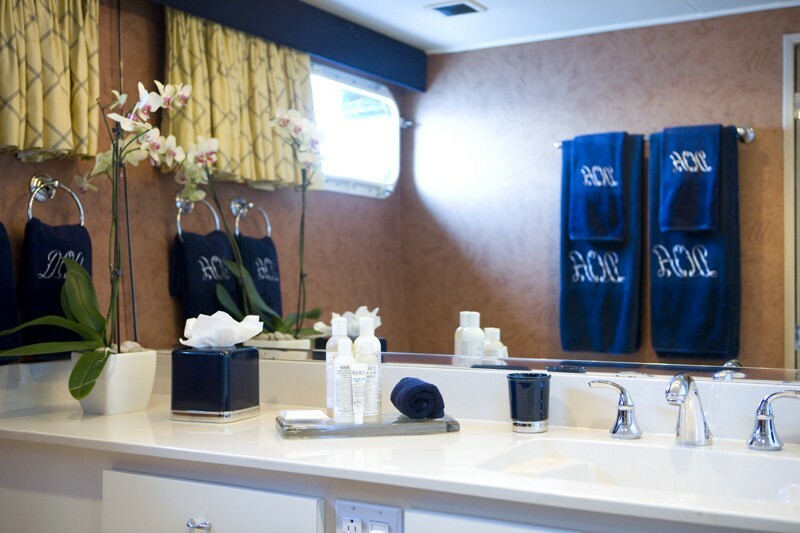 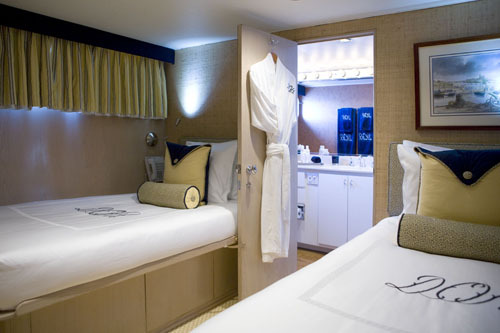 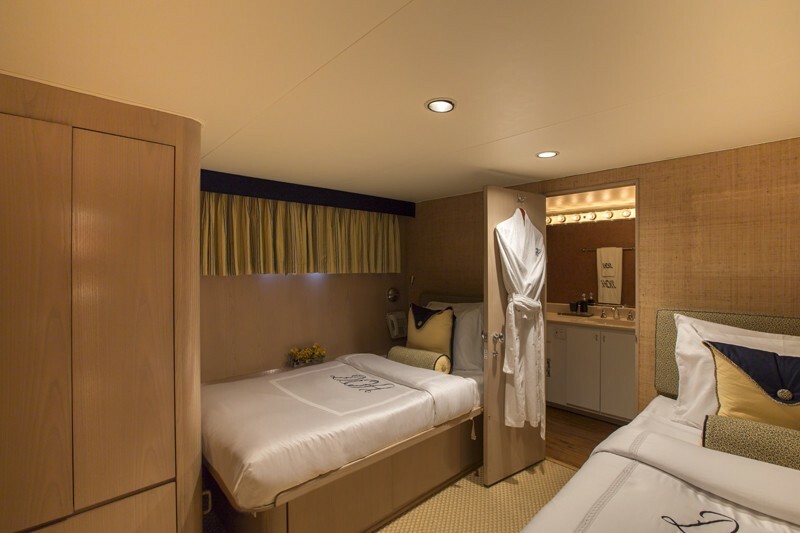 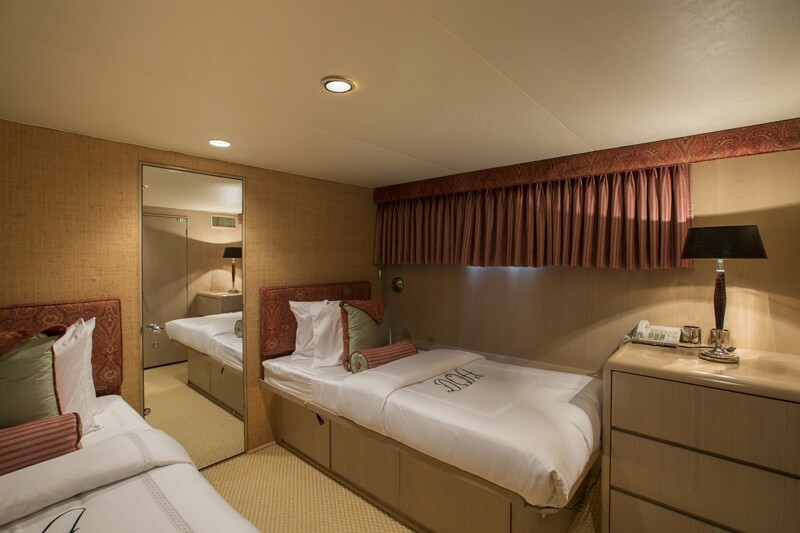 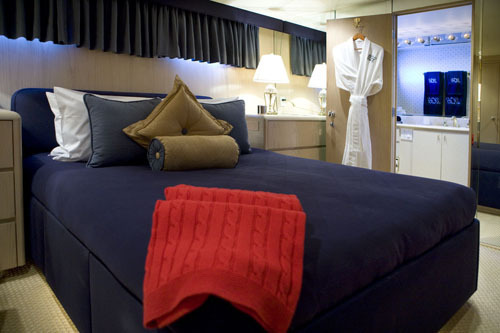 There are 2 Queen Staterooms with an ensuite bathroom with shower and two twin cabins with ensuite bathroom with shower. 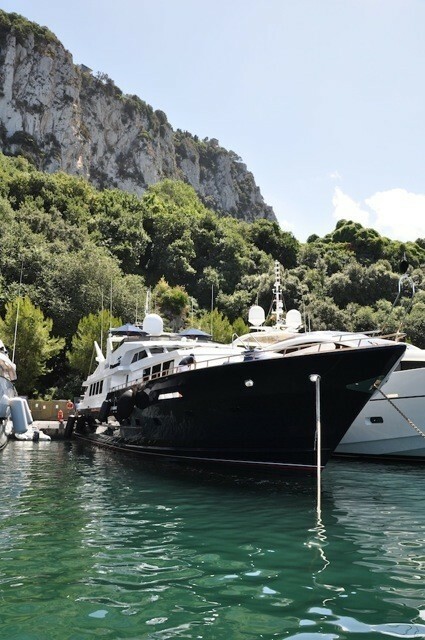 Motor yacht DOA has a wide range of tenders and toys including a 2007 29ft Jupiter with twin 250hp Yamaha engines, a 5.18m (18ft) Novurania with 90hp engine, two 2006 3-person 1300 Seadoos, Rendezvous scuba diving only bu the yacht does have extensive Snorkel gear, two 2-person kayaks, Water skis, a slalom ski and Wakeboard, a Super Mable and an 8-10 person Spa Pool. 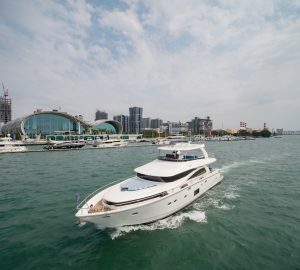 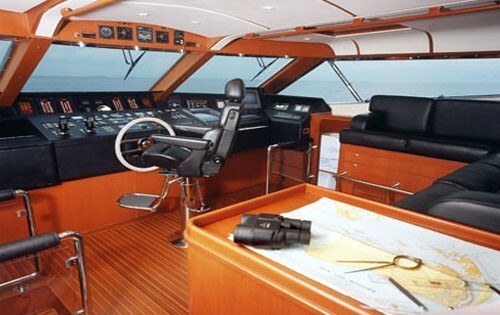 The yachts has its own internet Satellite communication system, Mini M, Cellular phone, Fax and a laptop computer with internet capabilities while in port. 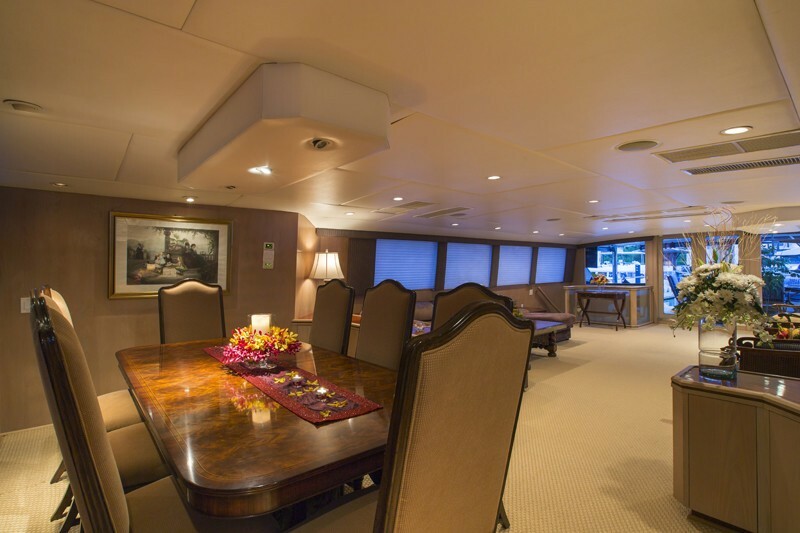 Audio Visual Equipment and Deck Facilities include Sat TV, DVD, and VCR in the Main salon and master stateroom, a Plasma TV with surround sound in main salon. 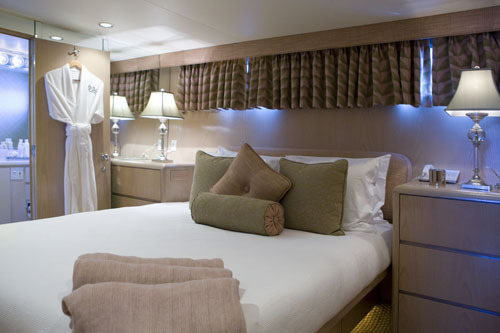 SatTV, VCR, and CD is in all guest staterooms. 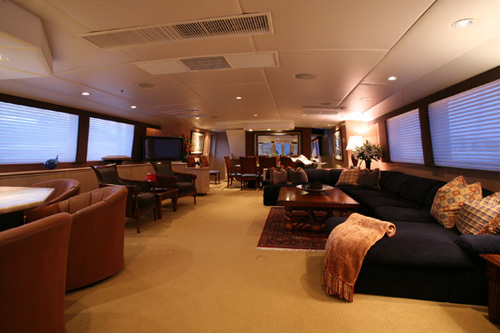 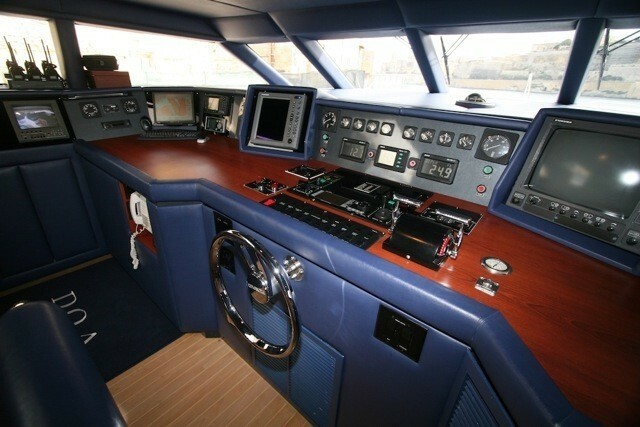 The Aft deck has a Plasma SatTV and there is an Audio library and a Video library. 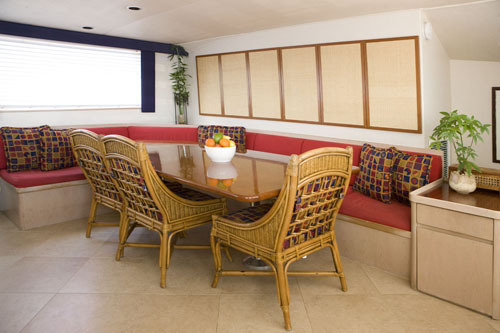 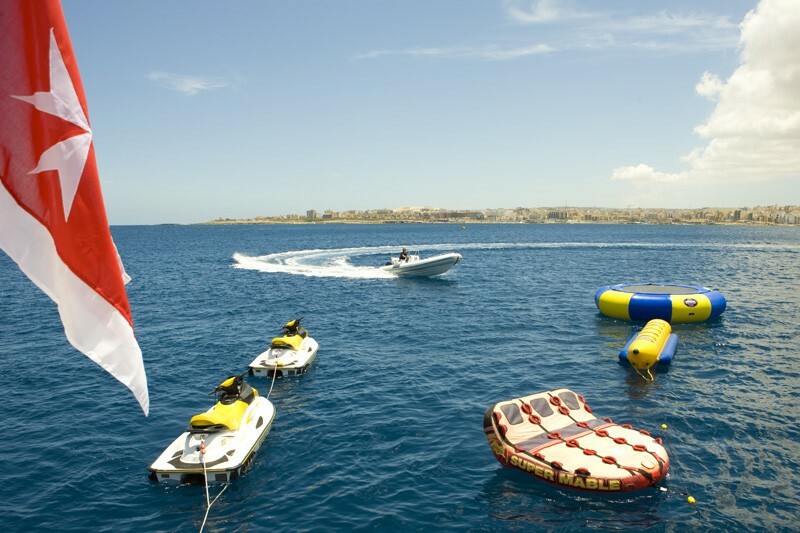 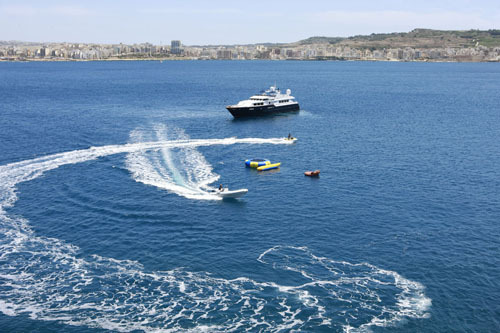 The yacht has ample sunning lounges and umbrellas, Barbecue and Wet bar on the sun deck.